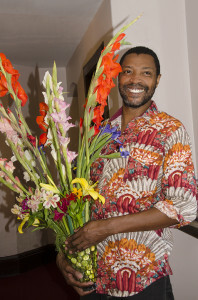 Edward requested a photo with his beautiful birthday flowers last week. He celebrated his ? ?th (mumble, mumble) birthday on the 28th of August. We hope it was happy, and wish you many more, Edward!